Happy Spring from the Milwaukee Art Museum! And in honor of spring, be sure to purchase your Art in Bloom tickets before Friday, March 25. Some lectures have already sold out, so don’t miss out on your chance to experience everything that Art in Bloom (March 31–April 3) has to offer. This year’s Art in Bloom premiere’s Milwaukee’s Calatrava™ rose, bred by Milwaukee native Bill Radler and cultivated at Johnson’s Nursery. 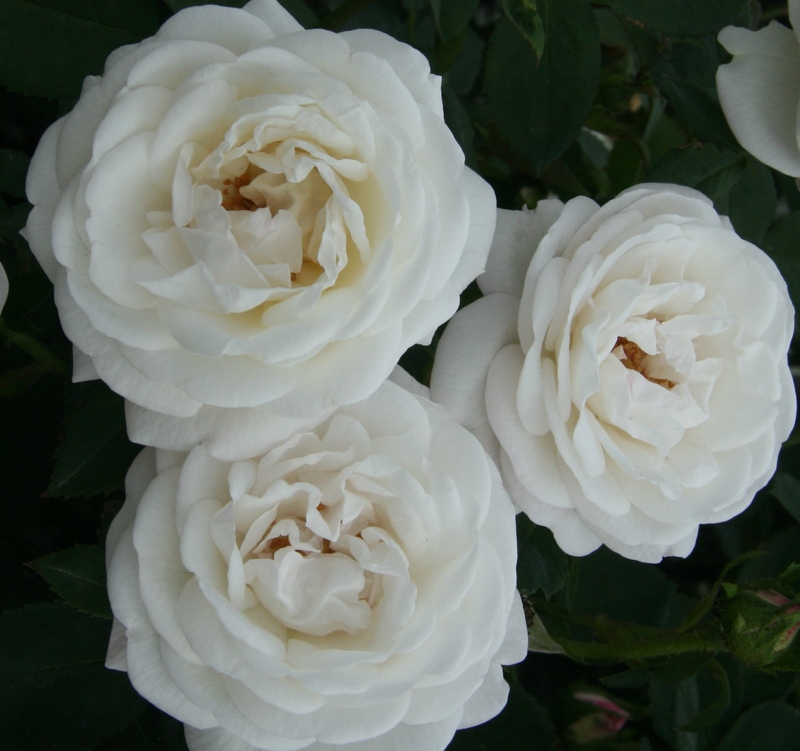 This double-flower, white bloom rose is intoxicatingly fragrant, and tints slightly pink as cooler weather sets in. A limited number will be available for sale at Art in Bloom, so don’t miss out. This week, the Museum features an Express Talk on Frank Lloyd Wright on Thursday at noon, plus the weekend has Story Time in the Galleries, Sketching in the Galleries, and Sunday features the Kohl’s Art Generation Open Studio. One more thing: Just opened is the new “Just the WRIGHT Size” Kohl’s Art Generation Gallery, including models, building blocks, and more. It’s an interactive experience for the whole family. See you at the Museum, and stay tuned for more information on Art in Bloom, happening March 31–April 3. This entry was posted in Art, Events, Exhibitions and tagged Art in Bloom, Events, Family Programs, Frank Lloyd Wright, Kohl's Art Generation. Bookmark the permalink.